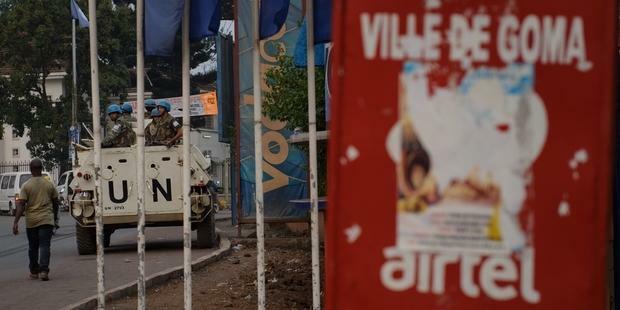 The UN Security Council must call on the Rwandan government to stop providing support for the M23 armed group in DR Congo’s North Kivu province, Amnesty International said as the UN redeployed peacekeepers to the main eastern city of Goma. The M23 have driven back the Congolese government army in a determined offensive over the last few days. The UN and authorities in eastern DR Congo say Rwanda has backed the non-state armed group, M23,, a claim denied by Kigali. “While redeploying UN troops to Goma to protect civilians is a positive step, the situation in the North Kivu is so tense that it has the potential to turn into a regional conflict if the international community does not take urgent measures,” said Aster van Kregten, Amnesty International’s Deputy Director for Africa. Amnesty International has received reports from numerous sources that M23 is using heavy artillery and continue to forcibly recruit civilians. According to credible sources, two civilians were killed by the M23 in Bunagana on Sunday when they refused to join the group, while two other civilians were killed during the fighting. Although Rwanda appears to have breached a UN arms embargo, the UN Security Council has done nothing to put pressure on the country to end its support for the M23, which has recently been strengthened with heavy artillery and new recruits.”. “The Council must condemn the reported breach of the UN arms embargo by Rwanda and take concrete measures to prevent any further violations of human rights or international humanitarian law,” said van Kregten. A UN report last month provided substantial evidence that senior Rwandan officials have backed the M23 armed group, led by Bosco Ntaganda, a former General in the Congolese army who is under an International Criminal Court arrest warrant. The armed group named themselves the M23 after a failed peace agreement signed on 23 March 2009. The M23 defected from the Congolese army in April this year amid pressure on the government to arrest General Ntaganda. The United Nations Organization Stabilization Mission in the Democratic Republic of the Congo （MONUSCO）, has a robust mandate which allows the use of “all necessary means, including deadly force” to protect civilians under imminent threat of physical violence. Despite this, MONUSCO has been unable to adequately protect civilians and help restore calm to the volatile North Kivu region and has instead focussed on providing technical support to the poorly trained Congolese army. Although MONUSCO has a presence in the region, the M23 captured the strategic towns of Rutshuru and Kiwanja over the weekend without facing any opposition from the UN forces. “The recent violence in North Kivu has already led to human rights abuses against civilians and any escalation in the violence will place civilians at further risk,” said van Kregten. While the M23 is threatening to attack Goma, recent reports indicate that the Democratic Forces for the Liberation of Rwanda （FDLR） - whose leaders are believed to have taken part in the 1994 genocide in Rwanda - and other armed groups such as the Mai Mai are also in Rutshuru territory, increasing the fear of violence against civilians.